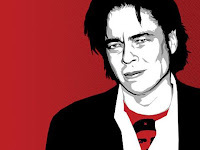 And here is my interview with Benicio Del Toro. Posted on January 4, 2009 January 4, 2009 by johnsellers	This entry was posted in Uncategorized. Bookmark the permalink.